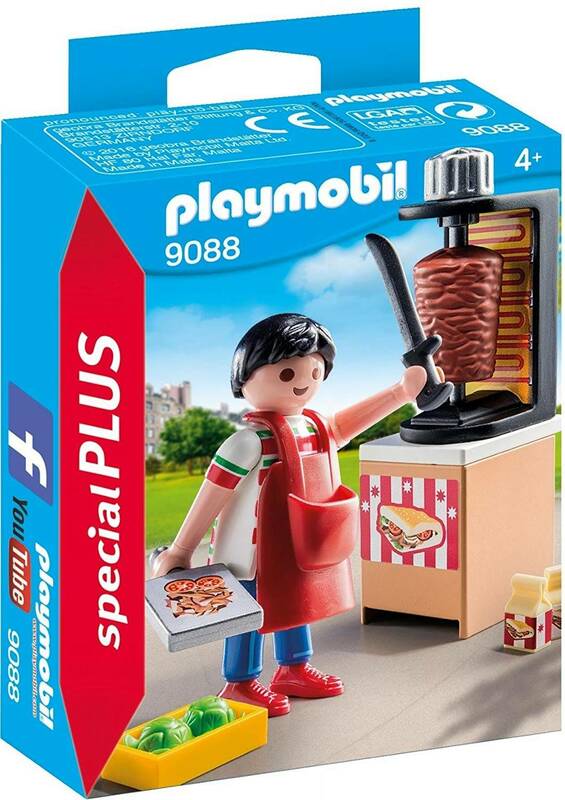 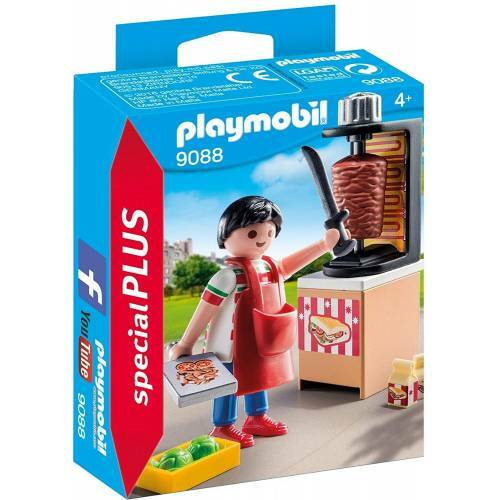 The Playmobil Kebab Vendor is ready to serve his next customer. 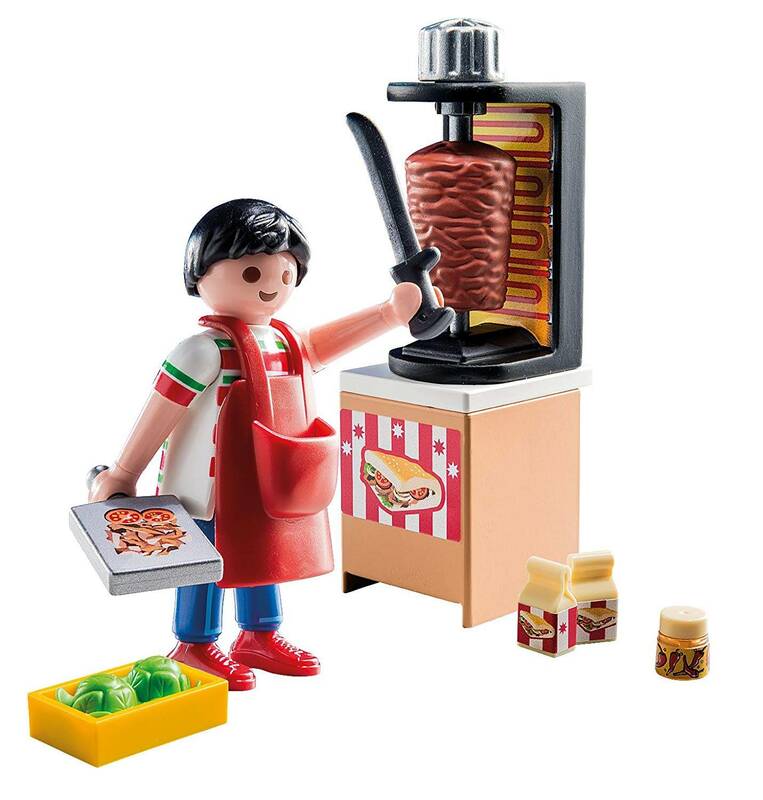 He has some fresh meat cut up, and a basket full of lettuce to go with it. There are cartons of drink and sauces to make the perfect meal!